On this page, we offer .pdf files of a number of two-sided posters and lithographs, as well as a postcard collection and some bookmarks. For the poster graphic front sides, we include full-dimension files for viewing on your display, as well as easily-printable 8-1/2x11 files (which, however, may be quite hard to read). The poster back-side materials are all printable and readable as individual 8-1/2x11 pages. Reading the Clouds. 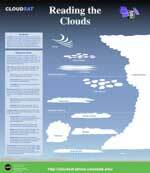 Poster front illustrates and describes types of high-, low-, and mid-altitude clouds. Poster back has article and activity related to Earth's water cycle, as well as a cloud identification quiz and a water cycle crossword puzzle. Full-dimension .pdf of front (22 x 25.5 inches). 8-1/2x11 printable .pdf of front. Wild World of Clouds. 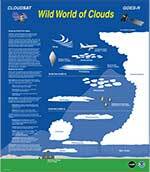 Poster front illustrates and describes types of high-, low-, and mid-altitude clouds. Poster back explains Earth's water cycle and the role of clouds in maintaining it and providing fresh (non-salty) water to land plants and animals. A crossword puzzle and cloud identification quiz reinforce the concepts. Introduction to Clouds (17.8 x 11.9 inches). Another angle on cloud types and descriptions of cloud cover, cloud opacity, and cloud level. Introduces Earth's water cycle. Includes many example photos of different cloud types. Cloud poster also available in Spanish. GOES/POES Poster. 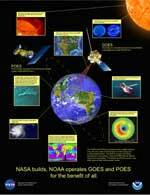 Poster front illustrates both the Geostationary Operational Environment Satellites (GOES) and the Polar-orbiting Operational Environmental Satellites (POES), and their functions and accomplishments. Back material includes two articles and activities on many of the different parameters meteorologists measure and terms they define in order to describe and predict the weather. Full-dimension .pdf of front (25.5 x 33 inches). GOES/POES Wild World of Weather Adventure Game. Download question cards here. A self-contained board game about all kinds of weather and the places it occurs. Besides the game instructions, includes two articles and activities on many of the different parameters meteorologists measure and terms they define in order to describe and predict the weather. Full-dimension .pdf of front (34 x 26.5 inches). Voyage on the High Seas: A Jason 1 Ocean Adventure. A self-contained board game about the oceans. Download game cards, playing pieces and spinner here. Also included on the poster back are articles on mapping the oceans using altimetry, how winds drive ocean currents (also an activity), an explanation of El Niño, and an ocean-related crossword puzzle. Full-dimension .pdf of front (34 x 26 inches). Hurricane Katrina (38 x 28 inches). Poster front shows Hurricane Katrina as it looked from space just as it rammed into the Gulf Coast. Other images and captions show how the hurricane was tracked and its path predicted. Materials on the back of the poster explain how hurricanes form and how the GOES satellites create images of them and help meteorologists to predict their behavior. Full-dimension .pdf of back (38 x 28 inches). Ozone: The Good and the Bad. 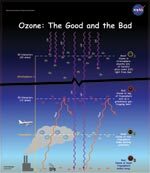 Front of poster is a cartoon profile of the atmosphere, showing the "good and bad" roles of ozone in the stratosphere, high troposphere, mid-troposphere, and surface. On the back is a classroom activity article, beginning with an explanation of ozone's roles, and an introduction to spectroscopy. Also includes detailed instructions for building a classroom spectroscope using a CD or a DVD. Full-dimension .pdf of front (22.5 x 26 inches). 8-1/2 x 11 printable .pdf of front. 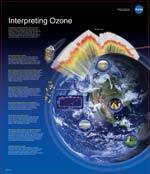 Interpreting Ozone. This 22-1/2 x 26-in. poster (front only), for high-school level and above, introduces the effects of ozone on the environment and climate. The effects are complex,and ozone's role varies with altitude and how it interacts with other greenhouse gases. 8-1/2 x 11 printable .pdf. For the younger set, word puzzles, riddles, mazes, coloring pages, and other fun activities to do while learning about our wonderful weather satellites. Similar to the GOES book, this one has more fun on every page, and introduces the next generation of weather satellites, the GOES-R.
A two-page, fun, informative brochure about asteroids, the space rocks with a story. Find out what they are, where we find them, how we discovered them, and how they formed in the first place. A two-page, fun, informative brochure about dwarf planets. Though small in size, they are a big mystery. Find out what dwarf planets are, where you can find them, and what they're made of. Plus, find out more about everyone's favorite dwarf planet, Pluto! A four-page, fun, informative brochure about the many smaller bodies of our solar system. Learn all about dwarf planets, moons, comets, asteroids, and meteors. Find out what these small worlds tell us about our solar system's formation. 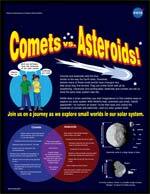 A four-page "fun fact" brochure about comets and asteroids—what makes them similar and what makes them different. Lots of fun facts, plus a comet vs. asteroid wordfind. 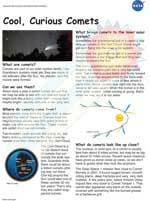 A two-page "fun fact" brochure about comets. What are they? Where do they come from? How do they get their names? What new discoveries about comets have space missions revealed? 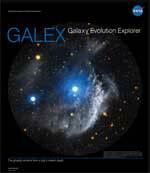 This poster image is a mosaic of hundreds of separate images of the sky made by the Galaxy Evolution Explorer (GALEX) ultraviolet space telescope. The image represents a large part of the all-sky survey done by this telescope. The back of the poster describes several of the surprising discoveries scientists have made from the ultraviolet images of GALEX. A rhyming description of light in all its wavelengths is also included, along with several fun puzzles to reinforce the new concepts. Full-dimension .pdf of front and back (26 x 33.5 inches, back as a nine-panel page). 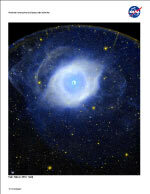 GALEX poster of Jupiter's Ghost, a planetary nebula. The back of the poster explains what a planetary nebula is. It describes the life cycle of a star like our Sun, and what will eventually happen at the end of the Sun's life. It introduces the mission of the Galaxy Evolution Explorer to survey all the galaxies 80% of the way back to the Big Bang--and what that means. A hands-on activity reinforces the idea of judging the relative ages of objects just by looking at them. Full-dimension .pdf of front and back (22.5 x 26 inches, back as a six-panel page). GALEX poster of the Pinwheel Galaxy, M83, in ultraviolet. This image was made with a 3 hour 42 minute exposure time, one of the longest ever made in UV. On the back of the poster is an activity to make your own pinhole camera and experiment with exposure times. GALEX Poster of "Shooting Star" Mira. 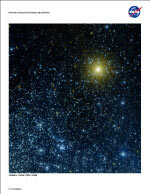 Wide-format poster (rotated to vertical here) showing the star Mira in ultraviolet, as seen by the Galaxy Evolution Explorer. Although studied for centuries, this 13-light-year-long tail had never before been seen. Four panels on back tell about Mira, the image, and GALEX. Full-dimension .pdf of front (34 x 11 inches). 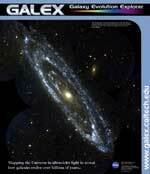 GALEX M31 Poster. Poster front is an ultraviolet view of the Andromeda Galaxy (M31), captured by the GALEX space telescope. Articles on the back of the poster explain how telescopes see back in time and why the night sky is black, in spite of 200 billion suns shining right here in the Milky Way galaxy. Activities include a GALEX crossword and wordfind based on the articles, as well as a creative writing activity. 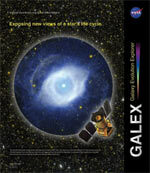 GALEX Helix Nebula Poster. Poster front is an ultraviolet view of the Helix Nebula, captured by the GALEX space telescope. The main article on the back of the poster explains star evolution in very simple terms (including the fate of our own Sun), and how a planetary nebula is formed. 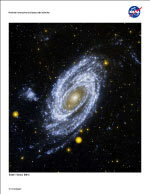 An additional article explains how we look far back in time as they look at very distant galaxies. A simple activity carries out the theme of judging the age of something by its appearance. Herschel Milky Way Center poster. The front is an infrared view of a ring of dust and gas at the center of the Milky Way galaxy that, with imagination, appears to be twisted into something like an infinity sign. 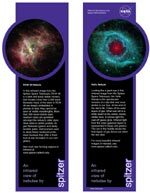 Articles on back of poster explain the electromagnetic spectrum and how infrared astronomy reveals aspects of the universe not apparent in visible or other wavelengths of light. The poster includes a classroom version of Sir Frederick Herschel's 1800 experiment in which he discovers invisible infrared light. Full-dimension .pdf of front and back (33 x 25.5 inches). 8-1/2x11 printable .pdf of poster front and back pages. The Art of space Imagery. The front is a mosaic of hundreds of thousands of frames of the Milky Way galaxy capture in infrared light by the Spitzer Space Telescope. On the back is a tutorial on how images captured in non-visible light are translated to visible light colors so that people can see, study, and enjoy them. Full-dimension .pdf of poster (35 x 11 inches). The Infrared Universe. The front is a montage of the different kinds of questions that infrared astronomy can address, regarding the cosmos, galaxies, star formation, star remains, and extrasolar planets. On the back are descriptions of how infrared astronomy works, why it is important, and some of the discoveries made so far. It also includes a classroom version of the Herschel experiment in which infrared light was discovered. Full-dimension .pdf of poster (33 x 25.5 inches). The Multiwavelength Universe. The front shows a composite image of the Pinwheel Galaxy that includes X-ray, ultraviolet, visible, and infrared light. Each wavelength reveals something different about the galaxy. The back of poster explains how different telescopes that detect different wavelengths are all necessary in order for us to begin to understand galaxies, stars, planets, and the evolution of the universe. Full-dimension .pdf of poster (33.5 x 26 inches). The North America Nebula. A stunning image in infrared and visible light shows a region of stars and dusty clouds that are hidden in visible light alone. 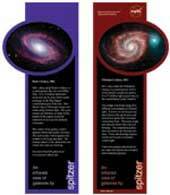 Back of poster has nine 8-1/2x11-inch panels that explain the electromagnetic spectrum and infrared astronomy, including the importance of infrared for studying galaxies and the distant universe, as well as planets. 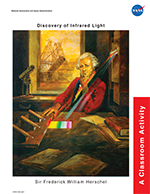 The famous experiment in which Sir Frederick William Herschel discovered infrared light is included as a classroom activity. Full-dimension .pdf of poster (26.5 x 34 inches). 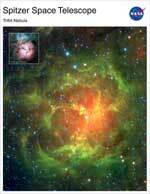 Spitzer poster: Eta Carinae star forming region. Beautiful glowing pillars of dense gas and dust in this Spitzer infrared image clearly reveal areas where new stars are forming. 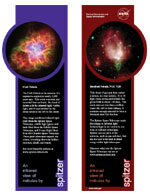 Articles on back of poster explain about the image, about infrared light, and infrared astronomy. It also includes a classroom version of Sir Frederick Herschel's 1800 experiment in which he discovers invisible infrared light. Full-dimension .pdf of front (33 x 25.5 inches). Spitzer poster: Orion Nebula. 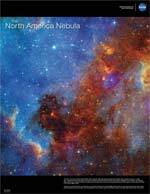 Poster front is a composite infrared and visible light view of the beautiful nebula in Orion's sword. Articles on the back of the poster explain what was found in the image, introduces the electromagnetic spectrum and infrared light, and discusses the importance of infrared astronomy and putting telescopes in space above Earth's obscuring atmosphere. Spitzer Poster: Multiwavelength Andromeda Galaxy. Three images of the beautiful spiral Andromeda Galaxy demonstrate the discoveries scientists are making by observing galaxies in many different wavelengths of light. The top image is in visible light. The middle image is a composite of wavelengths that are emitted by stars and active star-forming regions. 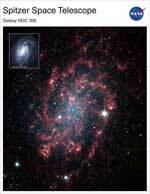 The bottom image is a composite of wavelengths that highlight the gas and dust in the galaxy. Herschel's discovery of infrared light and Ritter's discovery of ultraviolet light are both described as experiments to be done in the classroom. Full-dimension .pdf of front (25.5 x 22 inches). 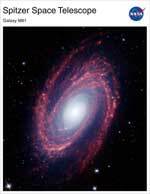 Spitzer postcards: This .pdf file includes 21 postcards, each with a stunning image from the Spitzer Space Telescope (plus a few artist's renderings). 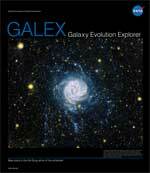 Galaxy Evolution Explorer postcards. 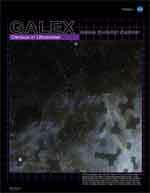 This .pdf file includes fifteen postcards on galaxies as seen in ultraviolet light by the GALEX spacecraft. Each postcard has an extended caption on the back explaining the image and what it reveals that was not known before. 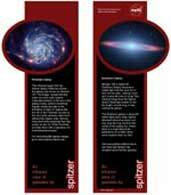 Spitzer bookmarks: Four "back-to-back" bookmarks with four Spitzer images of galaxies. Captions on bookmarks describe the images. Discovery of Infrared Light, activity, 4-page description and activity. 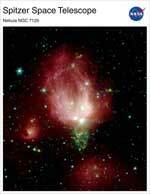 Explains and gives instructions for repeating the experiment William Herschel performed in discovering infrared light. 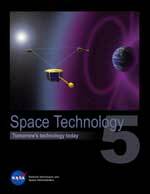 Space Technology 5 litho. Summarizes the ST5 mission to develop and fly three miniature spacecraft in Earth orbit. All spacecraft systems were miniaturized. Fleets of such spacecraft could fly in a constellation to study the magnetosphere or other phenomena. History of GOES Satellites (42.5 x 11 inches). Tracing the technological development of geostationary weather satellites from the first one, launched in 1974 to the advanced technology on GOES-R, planned for lanuch in 2015. Reading level is grade 8+. Look on the back of the posters for rich content and engaging classroom activities. What Is a Meteor Shower?